The Belfast Sit-on Sink from Franke, is made from a ceramic material and finished with a white gloss glaze, incorporating a deep bowl and weir overflow. 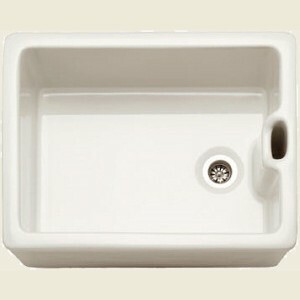 This Belfast ceramic sink can be installed directly onto a kitchen unit or freestanding using brackets. Franke Sinks carry a 50 year manufacturer guarantee to be free from manufacturing defects. Waste and plumbing kits are available separately.